The final of this year’s Kodiak Klassic was unlike the previous two finals: it was a close game! Before the final between Brentwood College (Victoria, BC) and Bishop O’Byrne (Calgary, AB) most spectators expected another lopsided victory after the team from Calgary had been dismantling their opposition with a blend of intimidating size and crafty guard play. Unfortunately for the Bobcats, they were facing a team (the defending BC AA champions from Victoria) that looked a lot like they did. What’s more, Brentwood College came ready to play. Right from the opening tip, Brentwood College seized control of the game. On offense, they were executing the “Flex” to perfection. Defensively, their length and misleading size forced the Bobcats into difficult shots and costly turnovers. By the end of the 1st quarter, Brentwood had built a 10 point lead. In the 2nd quarter, the Bishop O’Byrne team found some openings from outside as well as some timely high-low passing lanes to tie the game at 31 to close the half. As the 2nd half began, Brentwood College reasserted themselves and rebuilt their 10 point lead. The 4th quarter was where the game got really exciting. The Bobcat’s 5’6 guard, Alonzo Tan, began to assert his playmaking ability with several acrobatic jumpers and pinpoint passing. Tan’s effort was matched by Bobcat forward Jordan Carriere, who punctuated the mid-quarter comeback with a monster dunk in traffic. Holding on to a 3 point lead, Brentwood turned to Brendan Sullivan, who nailed back-to-back 3 point shots before pushing the lead back to 10 with a baseline drive right into the teeth of the Bobcat defense. Fortunately for the fans, this wasn’t the end of the team from Calgary. With his team down by 8 with about 3 minutes left, Bishop O’Byrne guard Holt Tomie took over the Bobcat offense. With crafty fakes and up-and-under moves, Tomie single-handedly brought his team back to within 1 point. Unfortunately for him, and his Bobcat teammates, his efforts were not enough. With a failed, last second heave from just over center, the Bishop O’Byrne hopes fell as short as their final, desperate shot. 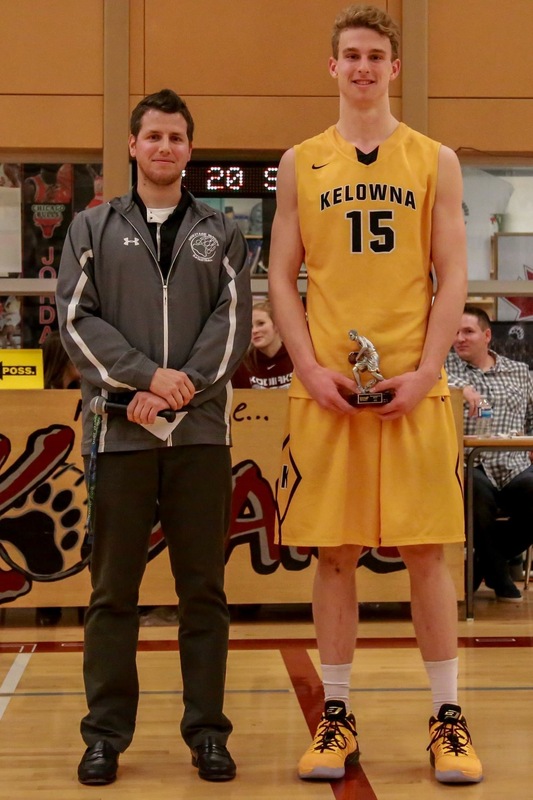 #1 Walnut Grove went through the 2016 Kodiak Klassic field with relative ease despite playing without two of their starters, Brett Christensen (6’5″) & Andrew Goertzen (6’8″), who were committed to the Gators’ quest for a BC Volleyball title at the Langley Events Centre. Class of 2017 stars Ty Rowell and Jake Cowley were unstoppable as James Woods, Luke Adams and Alasdair Coyle filled in for the missing Gators. Despite a close game against the Holy Cross Crusaders, the Gators ran through the rest of their competition en route to the Kodiak Klassic title. #5 St. George’s Saints were led by 6’10” F Jacob van Santen, guards Jon Mikhlin, Justin Huang and Adrian Bacic. Despite going behind 20 points in their first round matchup against Lord Tweedsmuir, the Saints fought back to win 91-84 while taking down #7 Semiahmoo & #3 Kitsilano to earn a spot in the final game. Having played with each other over the last few summers with their DRIVE club, everyone was expecting an exciting matchup between van Santen/Cowley and Mikhlin/Rowell. Christensen and Goertzen joined their teammates for the first time and while coming off the bench, their presence was immediately felt on both ends of the floor. Walnut Grove ran out to a 27-10 lead in the first quarter behind Cowley’s 10 points and 6 rebounds while Rowell added 9 points, 3 rebounds and 2 assists. Adrian Bacic carried the Saints’ with 7 points as van Santen chipped in 3. 45 seconds into the second quarter, the lead was stretched to 36-12 and just before half the Gators led 47-17 after a Cowley coast to coast dunk. The Gators’ height was too much for the smaller Saints as they had 14 offensive rebounds in the first half and led 49-19 after 20 minutes behind Cowley (14p, 8r), Rowell (11p), Goertzen (6p, 8r) and Woods (5p, 5r). Bacic was held at 7 points but guard Jon Mikhlin added 6 points in the second quarter. The Gators would continue to rebound and run their way through the Saints as Bacic did his best to score for his team but Walnut Grove had too much firepower. Late in the 3rd quarter Mikhlin limped off after a knee injury and left the Saints depleted at guard – Walnut Grove led 67 – 46 after 3. Although Walnut Grove took their foot off the pedal they continued to dominate the game and ended with a 92-65 win over the St. George’s Saints. 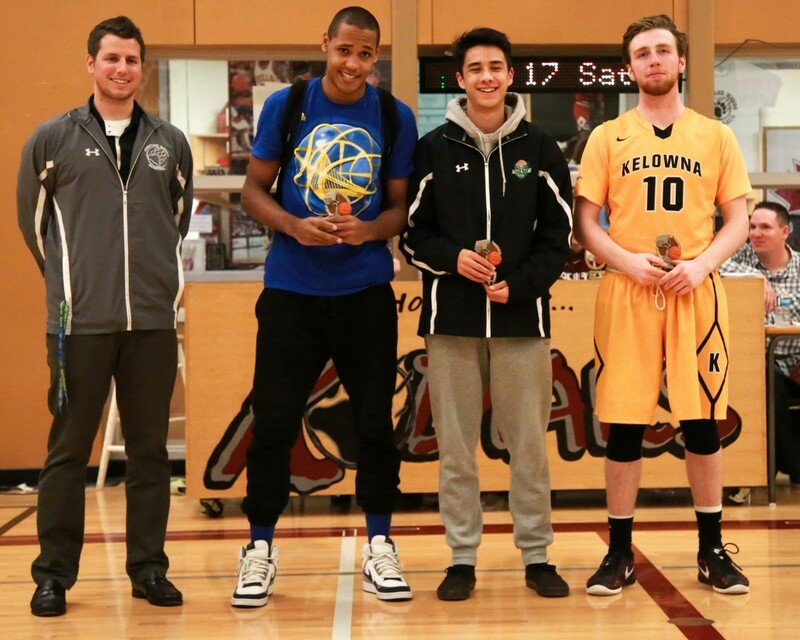 Article provided thanks to Yash Zandiyeh of http://bchoopscoop.ca. He’s the Head Coach at Killarney Secondary. 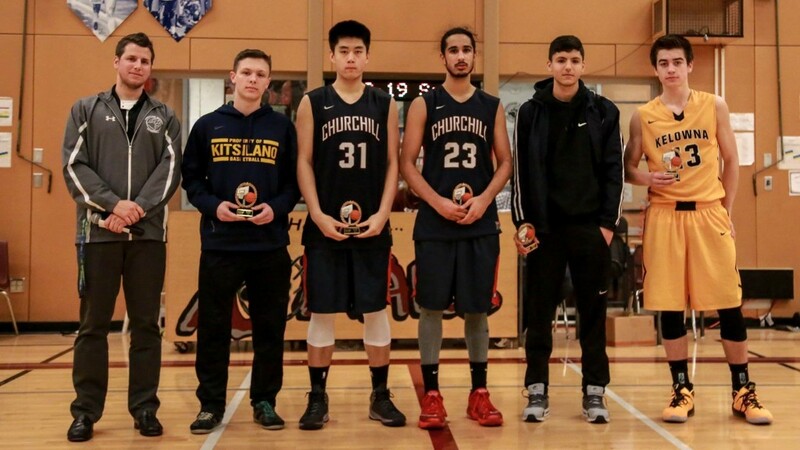 The Churchill Bulldogs, ranked #2 & 2014 Provincial Champions, came into the tournament without their starting centre, 6’6″ Matija Gabrillo, but had their core of 2016 standouts: Karn Virk, Harry Liu, Lambert Pajayon and Izaiah Ugoalah. 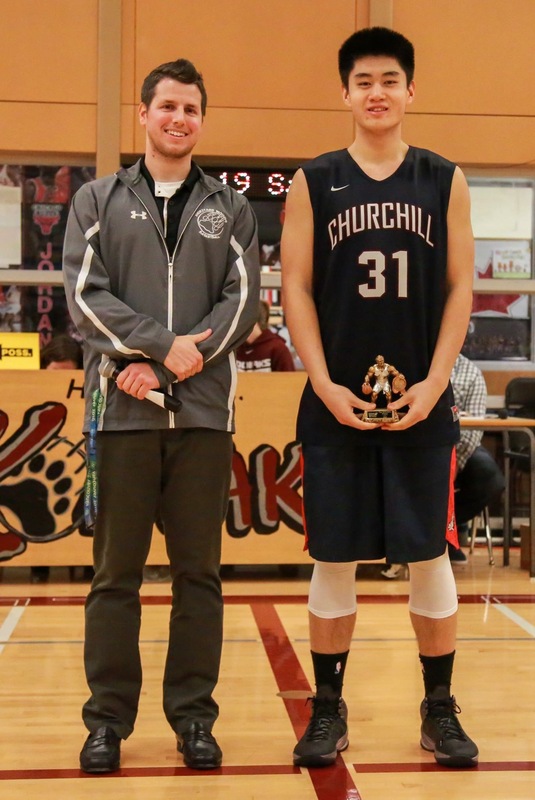 In Friday night’s semi-final Churchill took down 2015 Provincial Champs, Yale, 89-85 to give us our first match-up between #1 and #2. Liu was tasked with guarding Shephard and came out of the gate on fire as he scored 12 first quarter points with Kelowna’s lead at 25-18. However, in the second quarter it was 2017 6’3″ G Mason Bourcier and Lafontaine that carried the Owls with latter going on an individual 7-point run. Bourcier had 16 points in the first half as Kelowna extended their lead to 57-37. Despite Liu knocking down two 3s to kick off the second half, the Owls kept getting transition points as Simson was getting to the hoop at will. Virk and Liu did their best to keep Churchill in the game but it wasn’t enough for Kelowna’s all-around scoring as the Owls maintained their #1 status with a 113-93 win. Article provided thanks to Yash Zandiyeh of http://bchoopscoop.ca. He’s the Head Coach at Killarney Secondary. Photos provided by Paul Czene.